You guessed it! I HAVE A DOG!!! I just got a wonderful little doodle named Naina. 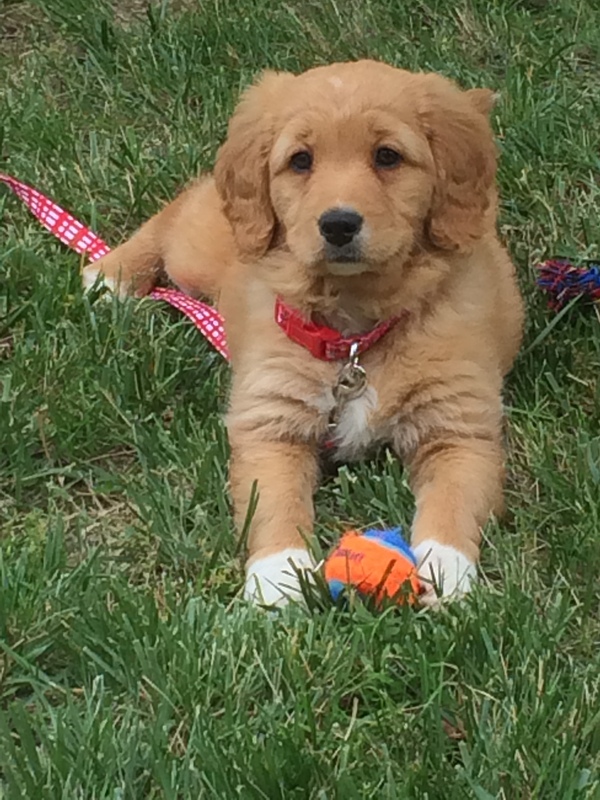 For those of you who don’t know, a doodle is a cross between a poodle and a golden retriever. Naina looks more golden retriever than anything but her white paws give an indication of the poodle in her. Here’s her picture! My dad checked out a few books about dogs in preparation for her arrival and this one was the best book and it was also the quickest read. 2. Chapter two is a continuation and actually talks about similarities between dogs and wolves in terms of their behavior. This chapter also discusses the five senses of dogs and how they socialize using those senses. Chapter two is also about choosing a dog that best fits your household and lifestyle. Big dogs vs. little dogs and how the different breeds matter too. 3, 4 and 7. 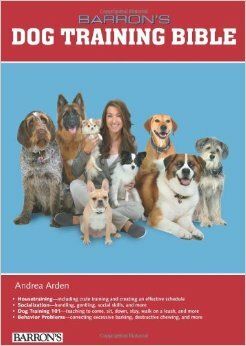 These three chapters are all about training your dog in terms of playing, communication, and commands. Chapter three focuses on the importance of positive reinforcement and chapter four teaches an owner how to go about doing that. Moreover, these two chapters educate the owner about how to be consistent with their commands and also how there should be a consistent treat for the dog as well. Chapter seven focuses on specific versus generalized commands and how well a dog will respond to a command based on the owner’s tone. 5. Chapter five is entirely about house training a dog. It emphasizes the importance of crate-training and a playpen. Dogs must learn the difference between the outdoors and indoors. This chapter also talks about the tone used when talking with dogs. Even when the dog pees indoors, owners often scold the dog. This leads to one of two things: the dog will be traumatized, or it will think that this is a game because we tend to raise our voices when we play with our dogs as well. In essence, raising your voice to scold a dog is a terrible idea. 6. This chapter six is shorter than the others but not less important. It talks about social behaviors between dogs and how to know when to stop two dogs from getting too close to each other. This chapter covers everything from restraining your dog to knowing when it’s safe to let people touch your puppy. 8, 9, & 10. These three chapters are all about the psychology of a dog. They reinforce ideas from past chapters about scolding your dog, when to give a treat to your dog, and how to know when your dog is out of it. These chapters discuss the mental problems than can occur with dogs and I find that chapter nine has some very educational examples as well. That’s all for this review! I believe this is one of my few non-fiction book reviews and I hope you liked it! I found a puppy that looks very similar to your puppy. I adopted him, but I have no idea what he would look like when grow up. Any chance to see a picture of your dog now? Mine has a white paws too, that’s why I’m asking.